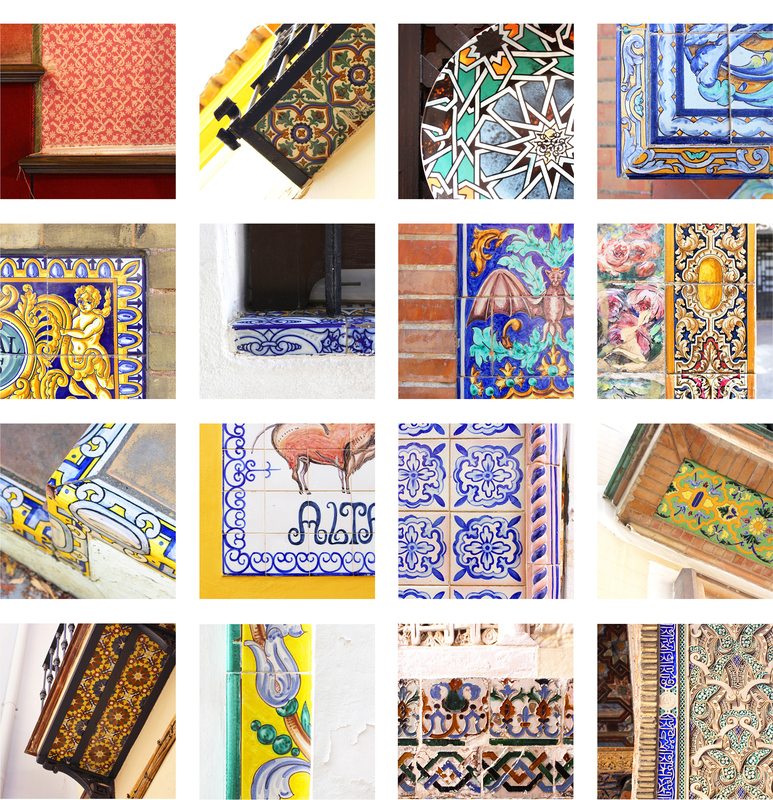 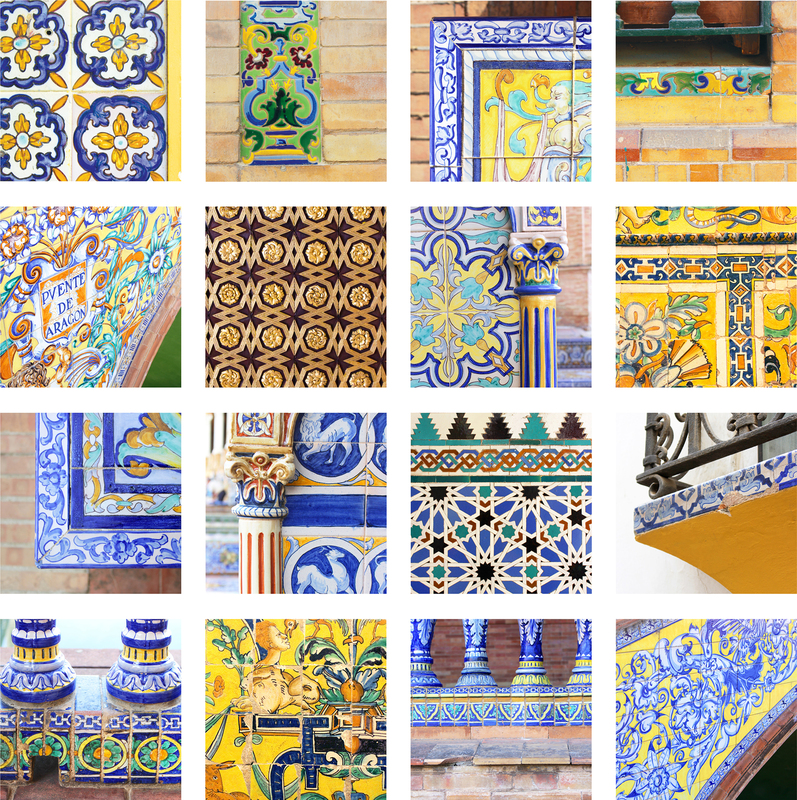 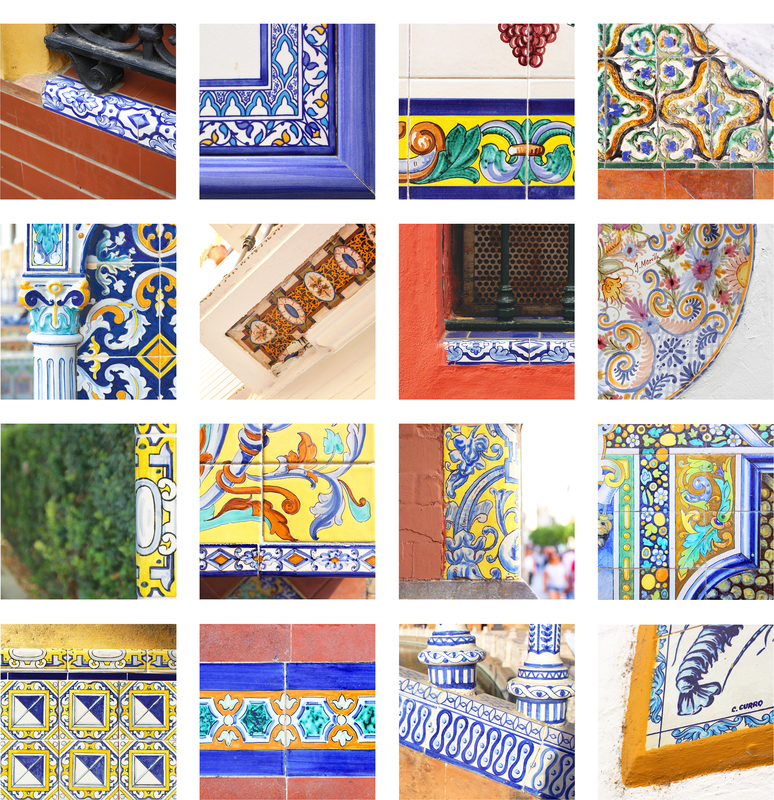 Seville is renowned for its painted ceramic tilework tradition, called azulejo. 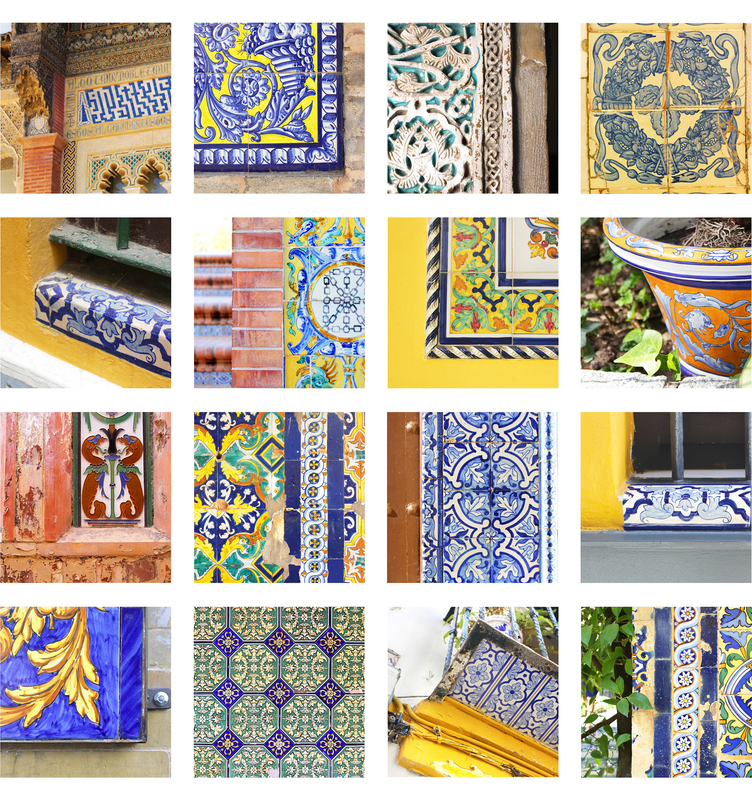 Seeing these vibrant, diverse and intricate patterns everywhere (literally, everywhere!) 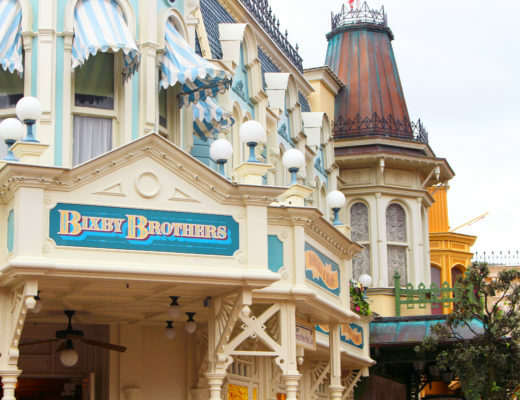 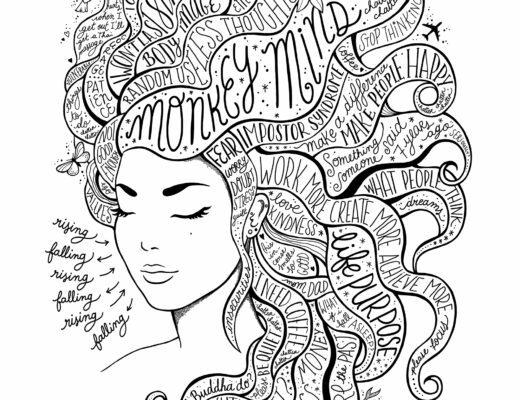 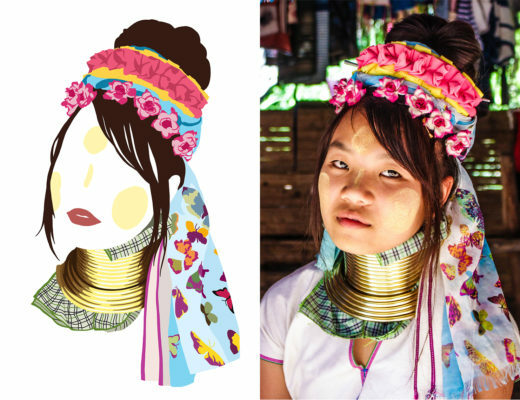 gave me a daily dose of joy and creative inspiration. 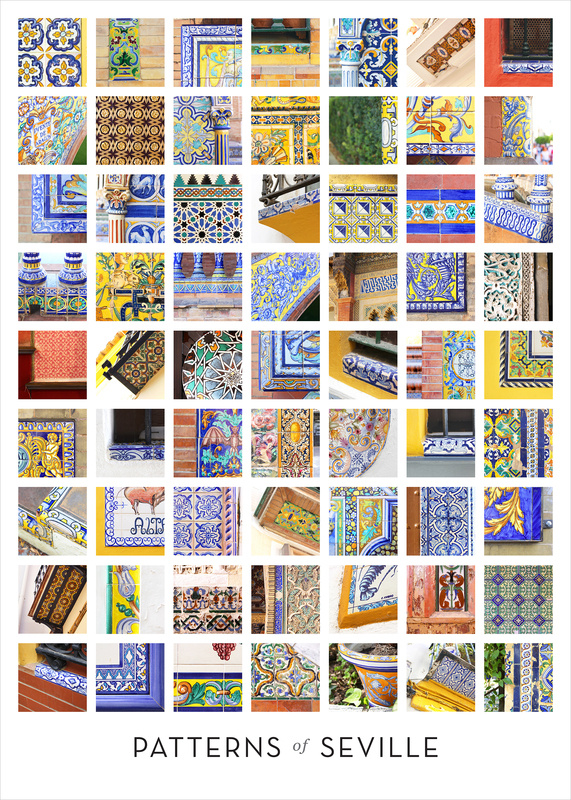 I was compelled to capture as much of them as I could, and make a little pattern collection.